The Bosch AXT25 TC is an electric shredder that combines low noise levels with impressive performance – making it ideal for homeowners with small or medium sized gardens situated in residential areas. The shredder features an impressive ‘Turbine-Cut system’ that makes light work of all garden waste – from small plant clippings right through to tough tree branches and everything in between. The cutting system harnesses 2500 watts of power and uses the manufacturer’s ‘advanced cutting technology’ to shred garden waste at a faster rate than many models of a similar price, with a reduced chance of blockages or jamming. The AXT25 TC has a maximum cutting capacity of 45mm, meaning it can handle thick branches and woody material as well as regular garden waste like plant matter and fallen leaves. The manufacturers also claim that the model will shred up to 230 kilograms of garden waste each hour – making it ideal even for larger gardens that produce a lot of waste or require a lot of maintenance. As well as impressive shredding performance, the AXT25 TC has been designed with convenience in mind. You will find a removable hopper, making it easier to feed your plant waste into the shredder. If this wasn’t easy enough, Bosch have also put an automatic feed system in place. This will pull plant matter into the cutting mechanism to save you the effort of doing so. The garden shredder comes complete with a large 53 litre capacity collection box – so despite its rapid shredding performance, you won’t be walking back and forth to your compost bin every five minutes. On top of this, the removable collection box is only 67 centimetres tall. This means it can be stored easily, even in the most crowded of garden sheds or garages. And to save even more space, the shredder’s removable hopper can be stored inside the collection box when the unit isn’t in operation. As with any piece of machinery operating with sharp blades at high speeds, safety is of paramount importance for the AXT25 TC. Manufacturers Bosch have cut no corners, as the cutting mechanism is protected with a shield that helps to prevent damage to stray fingers or any other accidents from occurring. The Titan Pro 7HP is a petrol powered garden shredder designed for large gardens that produce a lot of waste. As the unit does not need to be plugged into electrical mains, it can be manoeuvred around a garden unconstrained and with little effort. A large pair of wheels makes this easier, although it is worth noting that the unit weighs 80 kilograms – heavier than many shredders of an equivalent specification. This shredder features a brush hopper that is suitable for leaves, green plant matter and branches up to 10mm in diameter, complete with a safety cover to prevent injury. On the unit you will also find a large side chute that is capable of shredding woody material up to 50mm – a wider diameter than many garden shredders. All plant matter is fed through into a cutting mechanism featuring a flywheel blade that spins at 2,000 rpm, run by a powerful but fuel-efficient 7 horsepower engine. This impressive performance makes the Titan Pro 7HP shredder one of the most efficient on the market, and perfect for gardens that require regular maintenance. As a powerful petrol garden shredder, this model does produce a lot of noise – especially when compared to electric drum shredders. For this reason, Titan Pro includes a set of ear defenders, a pair of goggles and a pair of gloves when you purchase the unit. The Bosch AXT 2200 is an electric impact shredder that has been designed to be as convenient as it is powerful. It is easy to assemble and clean, making it ideal even for first-time garden shredder buyers. Weighing in at only 12 kilograms and with wheels attached to the bottom, it is easy to manoeuvre across even the largest of gardens. The AXT 2200 features Bosch’s signature ‘Powerdrive’ motor, which powers its blades at up to seven times the speed of a standard impact shredder. This means it has never been quicker to shred large amounts of garden waste for compost or mulch. The double-sided blade itself bears the same marks of excellent engineering – it is made from specially reinforced steel and has been laser-cut for precision. The AXT 2200 cuts through soft green waste or woody material equally well – unlike certain garden shredders that tend to perform better with one or the other. And with a 40mm maximum cutting capacity, this shredder is capable of turning even the largest of branches into fine chippings. The AXT 2200 is an ideal model for those who have large gardens or who otherwise process large amounts of waste into compost. With such a high performance cutting system, this shredder can process up to 90 kilograms of waste every hour. To make it easier to deal with your garden waste, the model includes a large capacity hopper complete with a full-width plunger. This makes it effortless to feed large amounts of plant matter through the shredder without risking injury to your hands. Bosch has also included a number of features on the AXT 2200 to help prevent damage to the unit and avoid unnecessary maintenance. The cutting blade is reversible for extended life without the need for replacement, and the motor itself also features both overload and restart protection. The Makita UD2500 is a high-performance electric shredder that is ideal even for gardens in built-up residential areas. No neighbours will have cause for complaint, as this model’s innovative ‘cut and crush’ mechanism tears through garden waste without producing too much noise – unlike many other powerful shredders. The quiet running of the shredder makes it suitable for smaller gardens, but the UD2500 will perform equally well in larger plots of land. Makita designed the unit with ease and convenience in mind – it runs on a large pair of rubberised wheels, making it easy to move back and forth between different areas of your garden. This can save plenty of time and effort otherwise spent carrying heavy bags of plant matter or hauling bulky branches across your lawn. Comfortable, ergonomic handles on either side of the shredder make it even easier to manoeuvre across your garden. They are also perfect for maintaining stability when shredding larger branches or other woody garden waste. The convenience doesn’t stop there – Makita has included cut-outs at the sides of the collection box, so you’ll always know when it’s time to wheel the shredder over to your compost bin for emptying. To help prevent blockages or damage to the interior cutting mechanism, the UD2500 electric shredder comes with an intuitive anti-block system and a forward/reverse switch. You can shred large volumes of garden waste (or thick branches) with confidence, knowing you will not need to spend time or money on maintenance if you try to shred too much plant matter at once. The POW6451 from Powerplus is a 2500 watt electric shredder that is perfect for home composting. The model is suitable for larger gardens, as its wheel mounted design makes it easy to manoeuvre around between different areas (rather than dragging your garden waste across your lawn). However, as the POW6451 is an electric shredder you will need a suitable extension cable to connect it to the mains power. When connected to the mains the POW6451 drives an impressive 2500 watt motor, cutting through small leaves and large wood debris equally efficiently. To prevent any damage to the unit or personal injury when shredding tougher garden waste, the Powerplus POW6451 also has built-in motor overload protection. For easier operation, the shredder comes with a pusher – so you won’t be straining any muscles when turning your garden waste into valuable compost. If you have a large garden or plan to use your shredder regularly, you will also be pleased to know that the model features easy clean housing that can be removed in seconds – so you can keep it in perfect condition without hours of maintenance. As an impact shredder, this model features a blade cutting system that cuts through all manners of plant waste quickly and efficiently. This means the POW6451 offers much better performance than any standard quiet/drum shredder, but it is also much noisier when running. For this reason it is recommended that you invest in a decent pair of ear defenders if you are using the shredder for an extended period of time. A pair of safety glasses may also be a good idea with such a powerful shredder, although it is worth noting that Powerplus has included a useful safety flap on the POW6451, preventing any loose debris from being flung out by the spinning blades. The garden shredder has a maximum cutting diameter of 40mm, so it is suitable for cutting large tree branches and other woody material. However, as an impact shredder it is equally capable of dealing with small, flat leaves or fresh plant matter that has a high moisture content. This is in contrast to drum shredders that have been known to struggle with both. But whatever you are shredding, the unit’s large 50 litre capacity means you will spend less time emptying the collection box and more time tending to your garden. A big part of maintaining a neat and tidy garden involves clearing up excess debris. Whether you are trimming overgrown hedges with a hedge trimmer, pruning plants, mowing the lawn or using a brush cutter to trim back bushes, you will be left with more plant matter than you started with. Of course this is a good sign for any healthy, growing garden. But it poses the question – what do you do with the excess? One option is to bag up your hedge clippings, branches, leaves and other detritus to take to the local rubbish tip. However, after several round trips this can become expensive and time-consuming. By throwing away your garden waste you are also missing out on a valuable opportunity to turn it into compost with the use of a compost bin– it takes around 12 months but could save you a huge amount of money otherwise spent at the local garden centre. To turn your garden waste into valuable compost – or even just to make it easier to transport to the rubbish tip – you will usually need to shred it first. This isn’t something that can be done by hand – you will need to buy a high quality garden shredder or chipper. 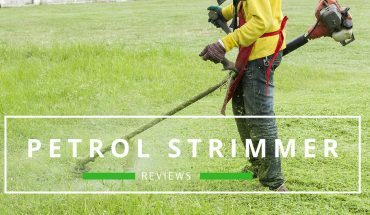 There are a lot of garden shredders on offer on the UK market, so it can be difficult to know which type is best suited to your needs. It is also not easy to know how much to spend – you may not need a top-of-the-range model for some light shredding every once in a while, but equally you wouldn’t want to buy the cheapest shredder only for it to buckle under pressure when you put it through its paces. Before committing to a purchase you should ask yourself how much waste, on average, you will be processing each month or year. You should also think about what type of garden waste you’ll be shredding, how often you are likely to use your new shredder and how much noise you (or your neighbours!) can tolerate while working. The answers to these questions will depend on how well-kept you like to keep your garden, how big it is, and how many different trees, shrubs and plants require pruning and trimming on a regular basis. When choosing a garden shredder you have two broad choices – an electric shredder or a petrol shredder. Both types of shredder have their own pros and cons – keep reading this buying guide to find out which could be the best for you and your garden. Electric garden shredders are the best choice for the majority of homeowners. They are ideal for small or medium-sized gardens, particularly those in suburban or town residential areas. Electric shredders are generally lightweight and easy to use while giving off low levels of pollution. They come in different shapes and sizes, but most fall into one of two categories – impact shredders or drum/quiet shredders. Although both models are popular, they use fairly different mechanisms to shred your garden waste. Drum shredders, which are much quieter than impact shredders, work by crushing the plant matter. A rotating wheel runs against a flat plate – pulling in the plant matter and pressing it against the plate. The wheel has strong, ridged edges that cut the plant material into smaller chunks as it passes through into the waste collection box. They are ideal for cutting woody plant waste such as branches and twigs, especially if you live in close proximity to others or have neighbours who enjoy their peace and quiet! On the other hand, impact shredders cut garden waste using a number of sharp blades spinning at high velocity. This disc slices through the plant matter, cutting it into small pieces as it is fed down through a delivery chute. This more aggressive mechanism makes impact shredders much louder than drum shredders, and they also require more maintenance as the blades can potentially go blunt after a lot of use. However, there are obvious advantages too. Impact shredders can process a wider range of plant materials than drum shredders, including loose leaves and fresh plant trimmings. Drum shredders can struggle with these in particular, along with any other waste that is already flat or contains a high level of moisture. Petrol garden shredders are better suited to homeowners with larger gardens. If you may need to move your shredder around your garden for easier use, or to avoid hauling large bags of plant matter over long distances, then your best bet is a petrol shredder. On top of this, they are more durable than electric shredders and are able to process much more waste in the same amount of time. However, this extra power comes at a price. Petrol garden shredders are much heavier than their electric counterparts, and they produce many more emissions – in terms of both noise and chemical pollution. On top of this, petrol garden shredders are often more expensive than electric shredders – both the initial investment and also when buying petrol to refuel the unit. However, it may be worth paying slightly more for a more powerful model if you have a large garden that generates a lot of waste material, or if you will be using your shredder regularly and would appreciate the many benefits of a quicker, more efficient piece of machinery.